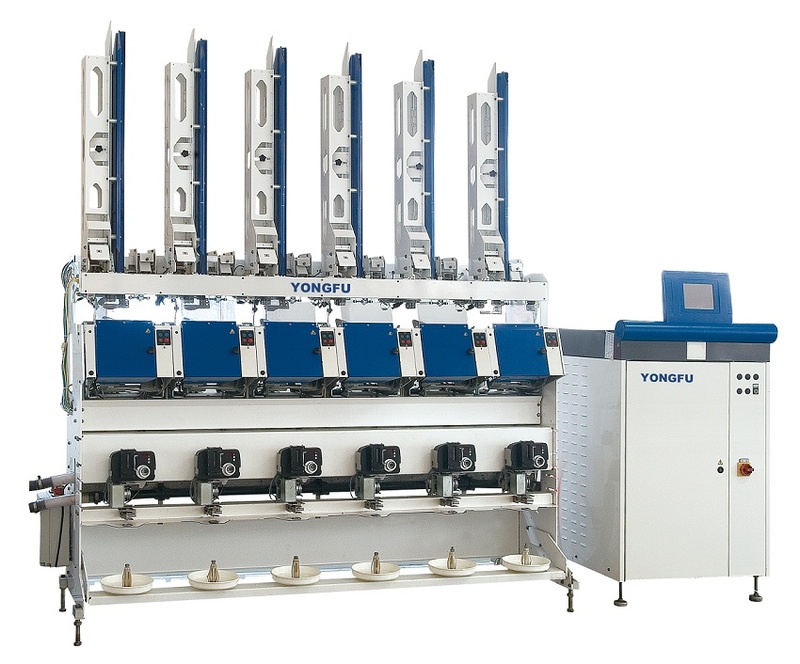 This fully automatic high speed thread winder is newly developed by our company. This machine adopts pneumatically operated auto bobbin feeder, doffing system and direct thread guidance system by high speed slit drum which is specially hardended and polished. It features as high speed, low noise, no damage to the yarn, long life, etc..
Slit drum; easy for maintenance and clear the wrapped thread. Electro-magnetic tensioner controlled precisedly and automatically by a computer to ensure consistent tension release throughout the winding. Electronic crossing adjustment program; Stepless setting of the crossing, fine resolution enabling the adjustment of the thread distance. Automatic yarn end tuck-in; after winding the yarn end is drawn underneath the last package layer. Machine terminal with touch screen display, for central input and setting of all winding parameters. With memory and download function, as well as shift monitoring. Looking for ideal Automatic Cone Yarn Winding Machine Manufacturer & supplier ? We have a wide selection at great prices to help you get creative. 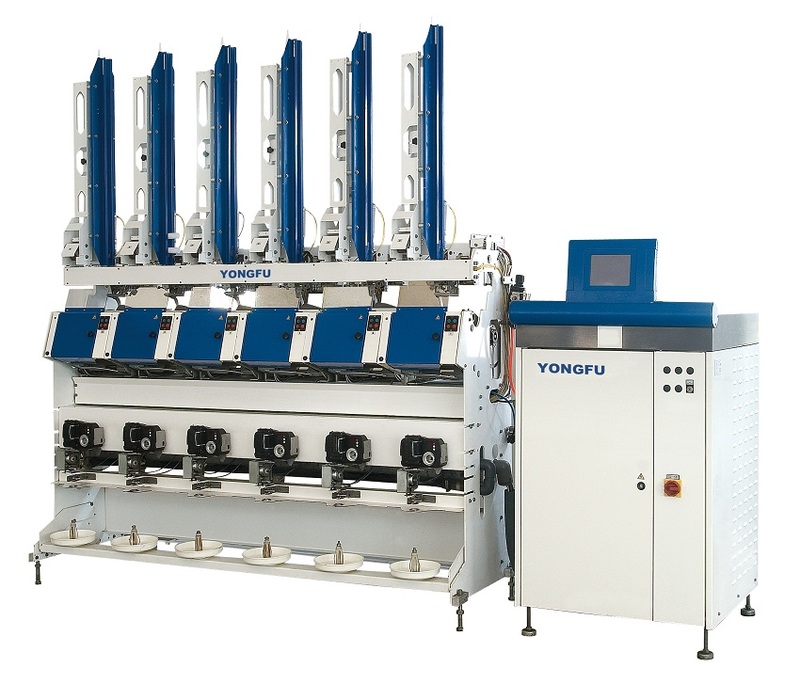 All the Auto Polyester Yarn Winder are quality guaranteed. We are China Origin Factory of Auto Polyester/Sewing Thread Cone Winding Machine. If you have any question, please feel free to contact us.